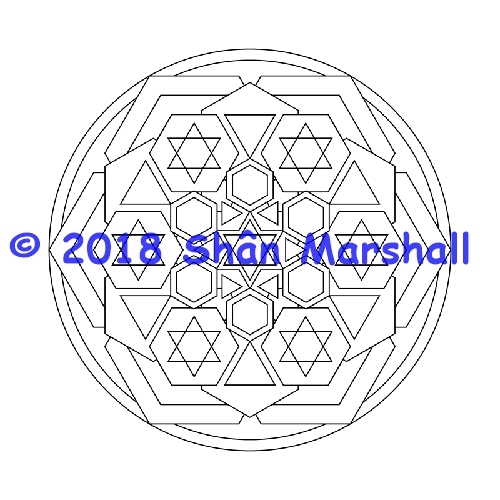 Created with hexagons, triangles and circles, this mandala will look stunning when it's been colored. Suitable for gel pens and coloring pencils. Not suitable for heavy fibre-tipped coloring pens. PDF format so you can print it off as many times as you want. Enjoy! And tell me what you think of it.